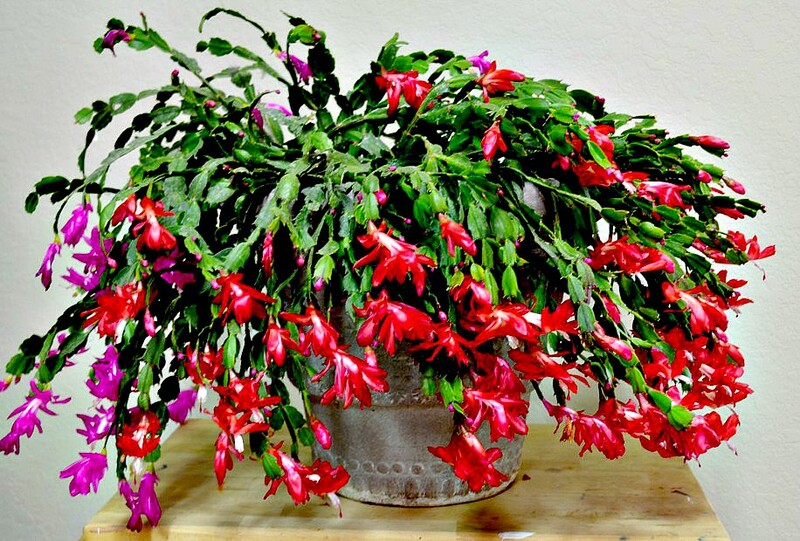 Christmas cactus are reliable bloomers that brighten any setting during the holidays. 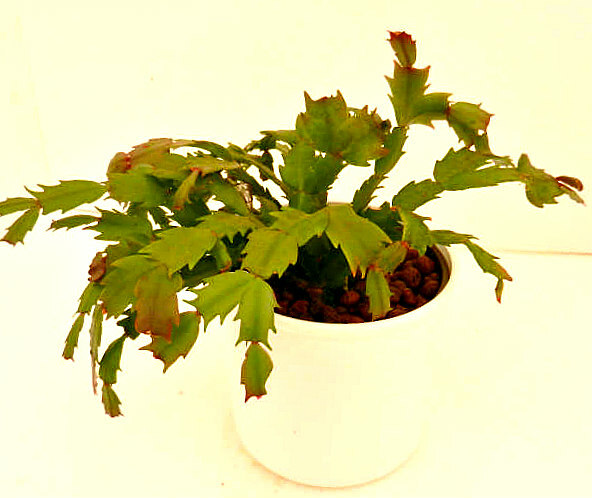 Christmas cactus also love hydroponics! Unfortunately they're reluctant candidates for transferring to hydroponics because their delicate roots damage easily when soil is removed. 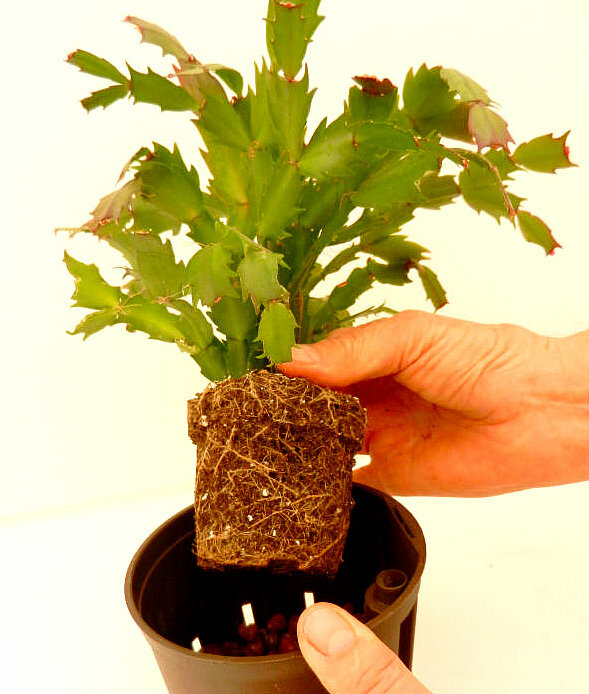 Smaller plants (growing in 4"-6" pots) transfer without incident, but larger plants can experience problems. 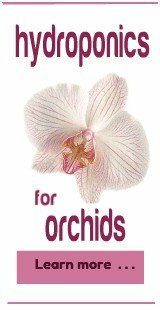 Mature plants rely on complex root systems to deliver moisture to the plants leaves and stems. 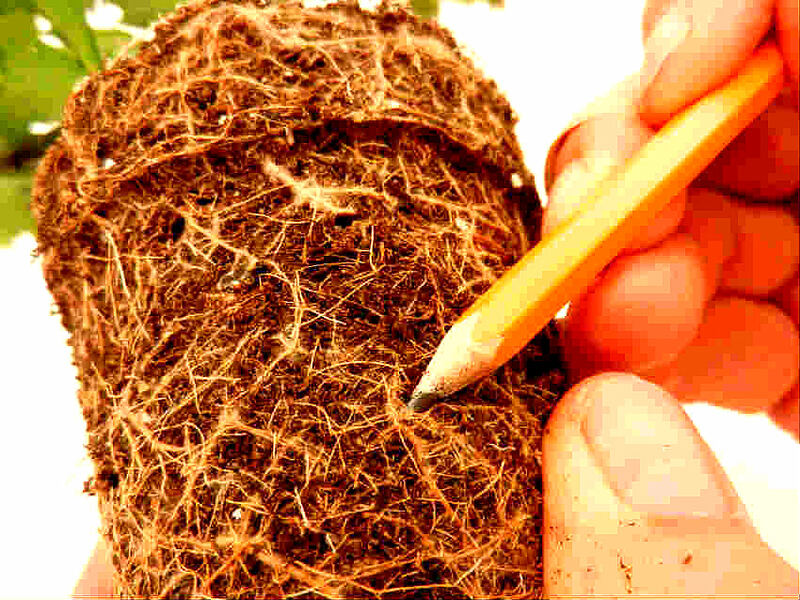 If these roots get damaged, the plant quickly becomes stressed and recovery can't be guaranteed. 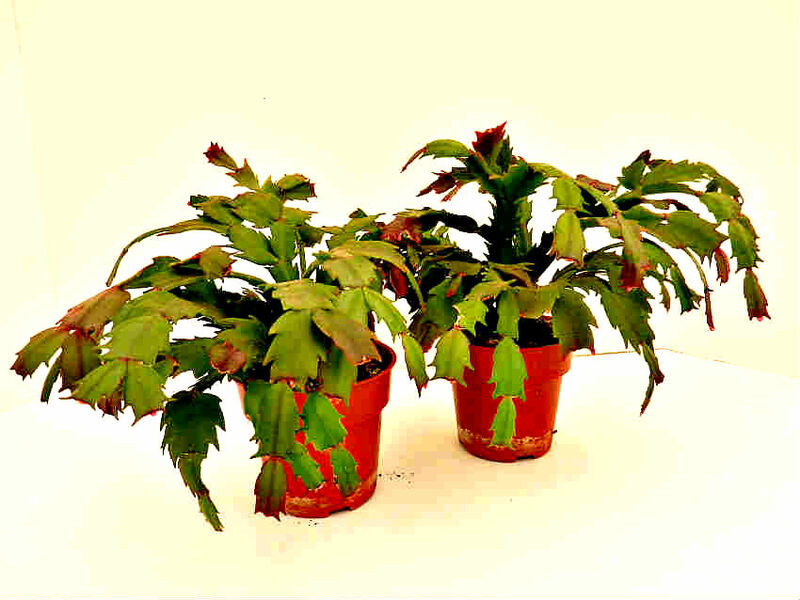 If your Christmas Cactus measures more than 10" across (from the tip of the leaves on one side to the tip of the leaves on the other side) it's not a good choice for transferring it to hydroponics. 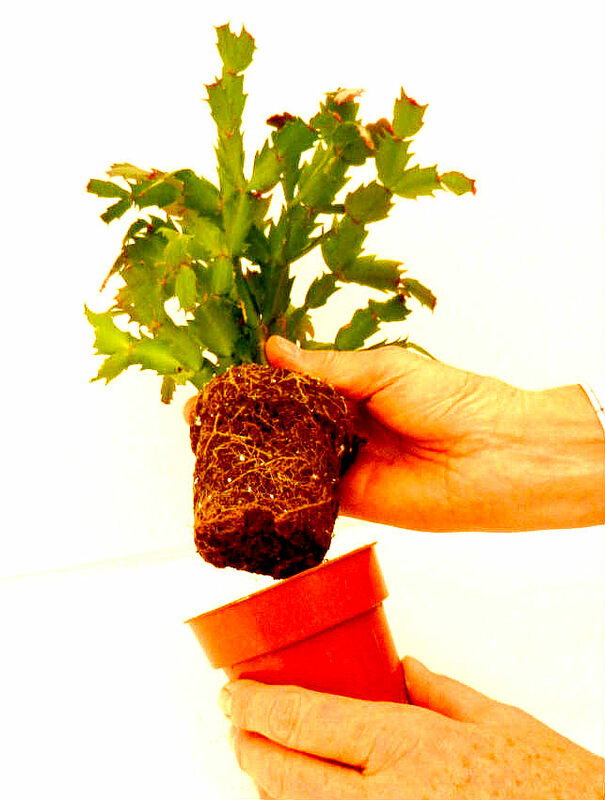 Removing the soil will damage the roots and the plant wil have a hard time recovering. Terraponic Growing is the best choice. 1. We'll be using plants growing in 4" pots. 2. 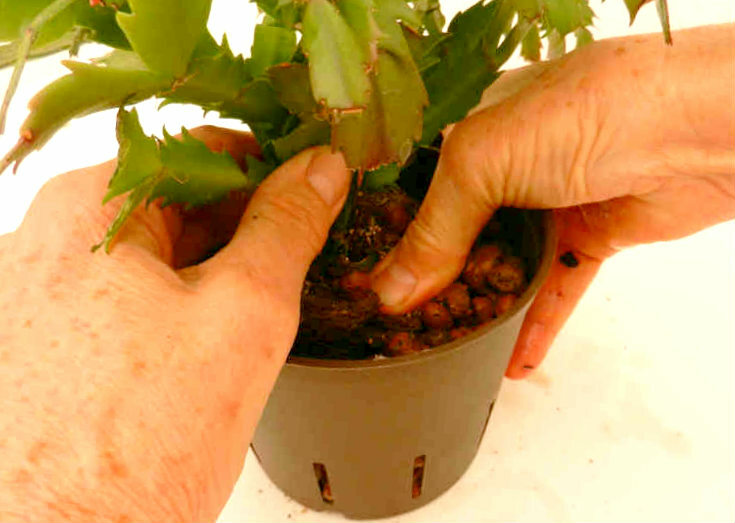 Squeezing the sides of the grow pot, gently remove plant. 3. Notice how delicate the roots are. These roots would get damaged if soil is removed. 3. Pot size is important. 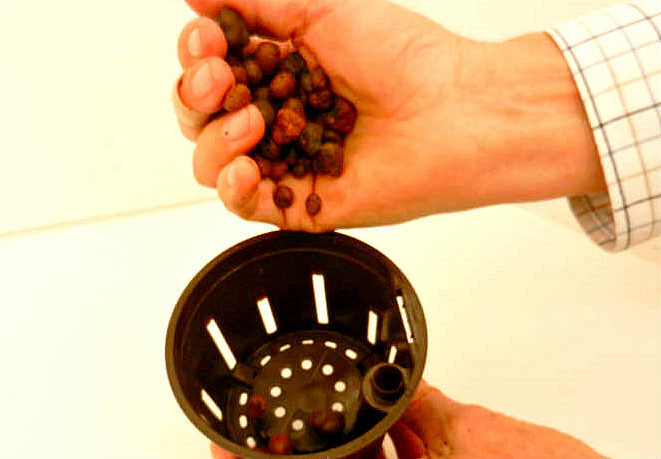 With hydroponic growing, we normally recommend the same size (or even smaller) culture pot. But with terraponics we'll be transferring the entire root ball to the new pot - so a larger culture pot is necessary. 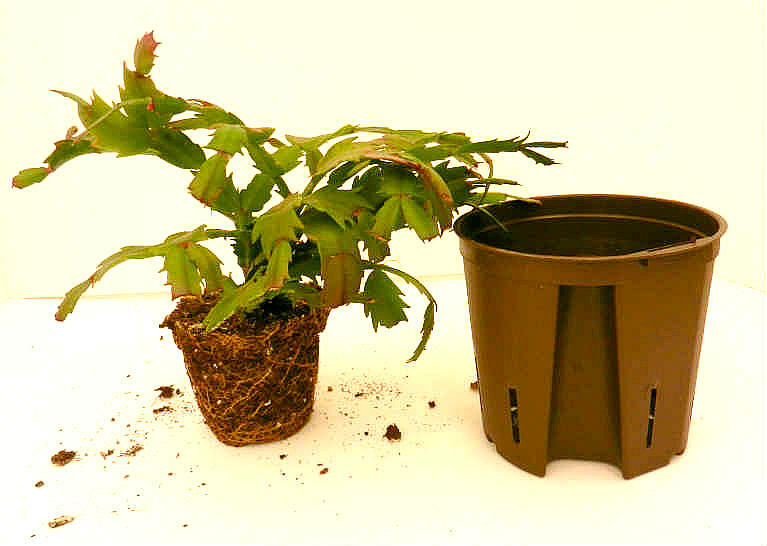 Choose a culture pot that allows for 1/2" - 1" space on all sides between the root ball and grow pot. 4. Fill bottom of new culture pot with LECA pebbles. 5. 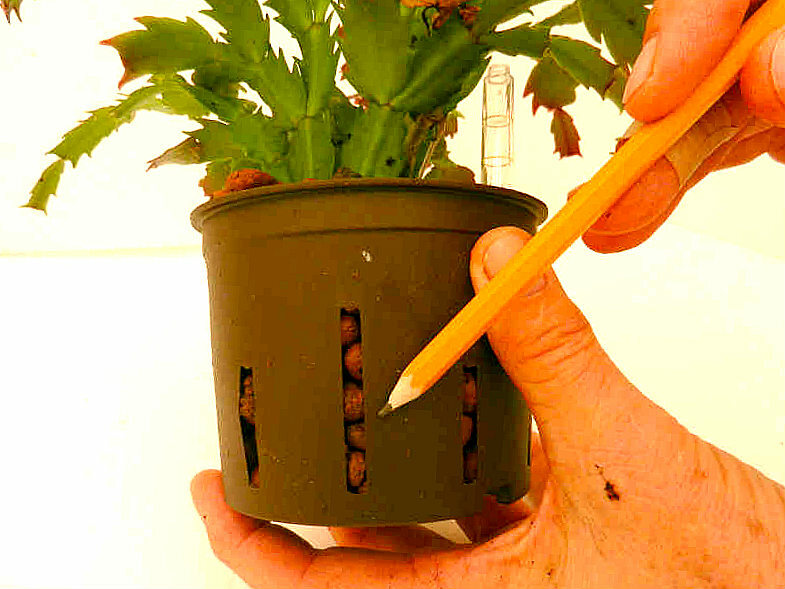 Insert plant - with soil roots intact - into culture pot. 6. Holding plant firmly - add pebbles around the root ball. Press pebbles down. Be aggressive - you won't injure the roots. 7. Make sure there's at least 1" of pebbles under the root ball. This lifts the soil roots above the reservoir. 8. Insert water gauge and put plan in outer pot. 9. 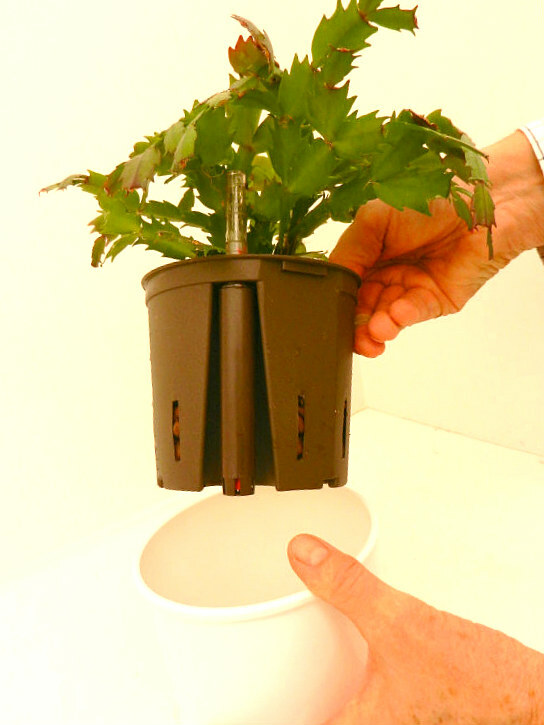 Christmas Cactus growing in a new terraponic system.